A few weeks ago I picked up one of Walsch’s books and began to read the first pages. After I read the short list of the 25 core messages to explain the main message (in the title) I stopped reading. It was so inspiring and I my mind started spinning. Before I am reading on I want to share the flow of pictures and thoughts of some of those core messages which immediately filled me. If you would like to read the first two parts, you can check out here part 1 and part 2. Today I am touching a very delicate topic. I try not to filter what wants to be written and so this is what came to my mind when I got to this core message. What is the scariest thing for most of us? I think it is death (our own or the one of a close person) and in addition it can be the confusion of what comes after. But what does death actually stand for? Looking at it objectively, it is something that ends ultimately. We basically call death the end of life. But death is not the opposite of life, it is the opposite of birth. It is the end of a timeline we ran through in our physical existence. Due to the limited awareness of the mind, we can barely take the permanent higher perspective that life continues. The identification of our own existence with our body is still very rooted. Yet, we do know that only the body dies while the soul (or actually the part of the soul which was incarnated) is freed again. The energy which gave life to the body is still the same and never ceases to live. It only changes its appearance. But what makes us feel that life ends with the death of the body is the definite change it brings to our physical life. It can never be the same anymore. That way, death is the most teaching factor to force us in reorganizing our own life and for finding new ways to live it. I think the problem why death is so hard on most of us is that nothing stays the same anymore and that we seem to have lost the contact with a particular person. Even though we know that they are still with us and even though we are sure to feel their presence at times, we cannot sit and chat as we used to. But this again is only a matter of awareness and of our own open-hearted mind. We are spirit. And the reason we miss that particular person is because of our spiritual connection between each other (and of course, everything that had grown from there). Friendship, love, or any other bond happens beneath our physical senses. 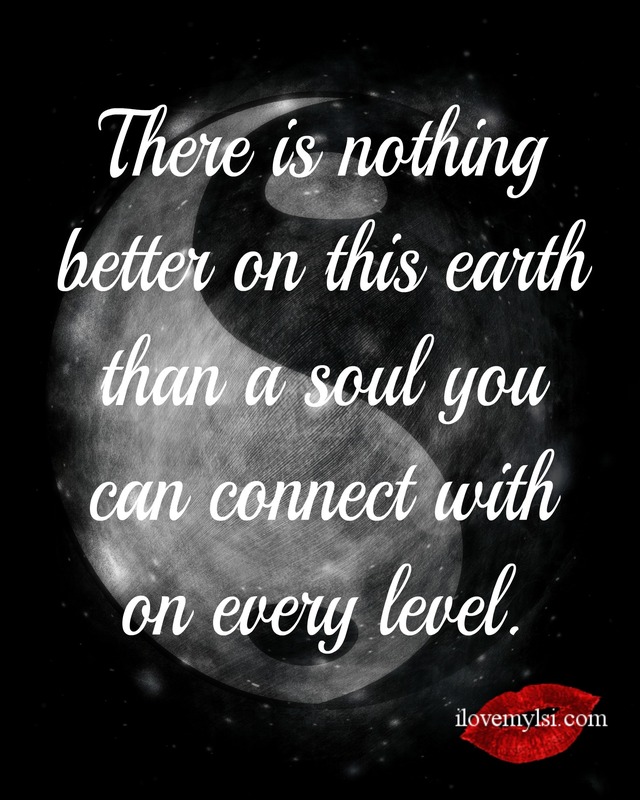 The stronger the bond the deeper the level the two souls are connected. And that connection is still alive. We find a person in our heart first before we let it into our physical life. So, even when they leave our physical life it is independent of the bond that exists beyond any material power. The physical life will end one day. But the spiritual connection doesn’t as much as the spirit itself is immortal. The more aware we are of that fact the more different we will look at death and deal with grief. 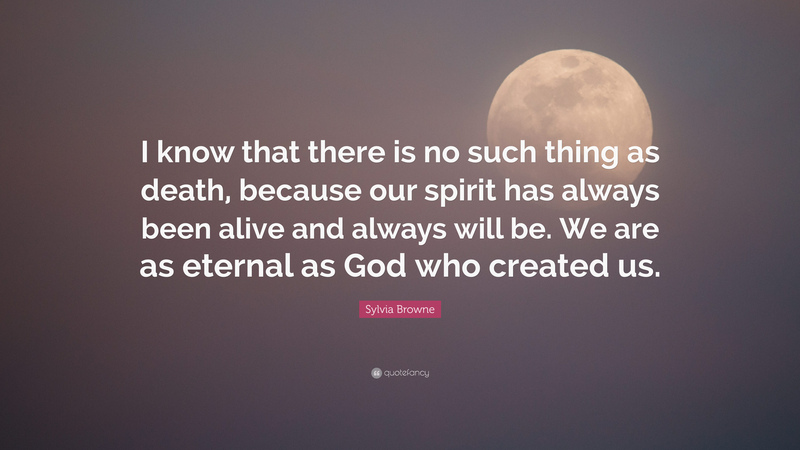 It can also be that the death of a beloved person only opens our own channel and gives our soul a voice and an outlet to stay in touch with the world where we actually are at home. The physical body and world is only a temporary excursion. I know there are some in our community who experienced terrible losses. But the faith they have held in their hearts and their views which go far further than any earthly point of view have illuminated their hearts even more right in order to not lose contact. Their bonds grew even stronger on a different level. They truly are one with their deceased. A oneness that cannot be broken. A oneness which gives them so much more power because they are permanently connected to THE pure mighty energy of love. They don’t feel bad for still being here but understand that they have a purpose to fulfill and to enjoy the time they are given. No matter what appearance doesn’t interrupt the spiritual connection. Death is an irreversible physical circumstance but it is not the end of life. No, I cannot remember. But it feels like a deep truth to me. This perspective has an important influence on the way I look at life itself and how I deal with it. And it feels good and strengthens which in the end is all that matters, right? Death is not the end of life. It is part of it! This is an interesting article, Erika. I agree that many of us don’t want to talk about death, but it’s not the fear of death that worries me, but the fact that I don’t know when it is going to happen. 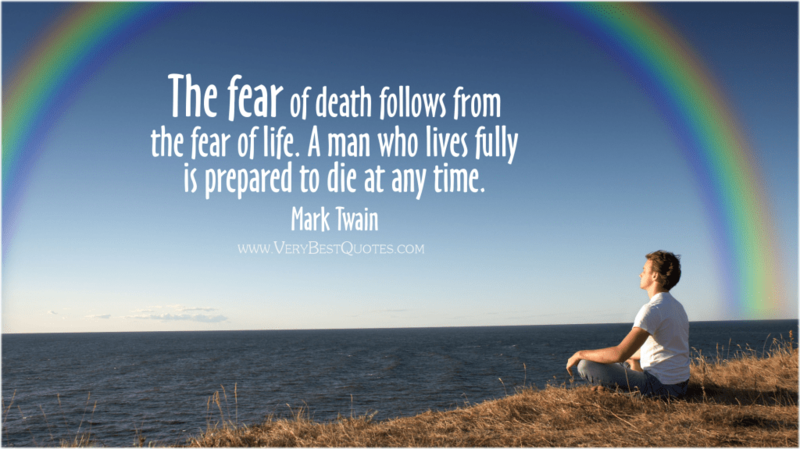 It’s fear of the unknown of when it will happen to me, rather than of death itself. Many years ago, I taught myself to view the death of any person as a new door opening for me. Those of us who fear what’s on the other side of that door will never truly get over the grief that death can bring, but those of us who step through that door and carry on embracing life, go on to learn how to deal with grief. It’s something that has worked for me very well, especially when somebody close has passed away. This is such an insightful comment, Hugh. Yes, I absolutely agree. Not looking at death, turning away from it will never be able to accept life the way it is which means living in constant fear. But accepting all that life brings means looking beyond the limitation of the physical part of our life. We will always grief but we won’t be devasteted. Death is always a challenge for those who stay here but it also has its potential for development for both parties. Thank you so much for this amazing comment, Hugh!